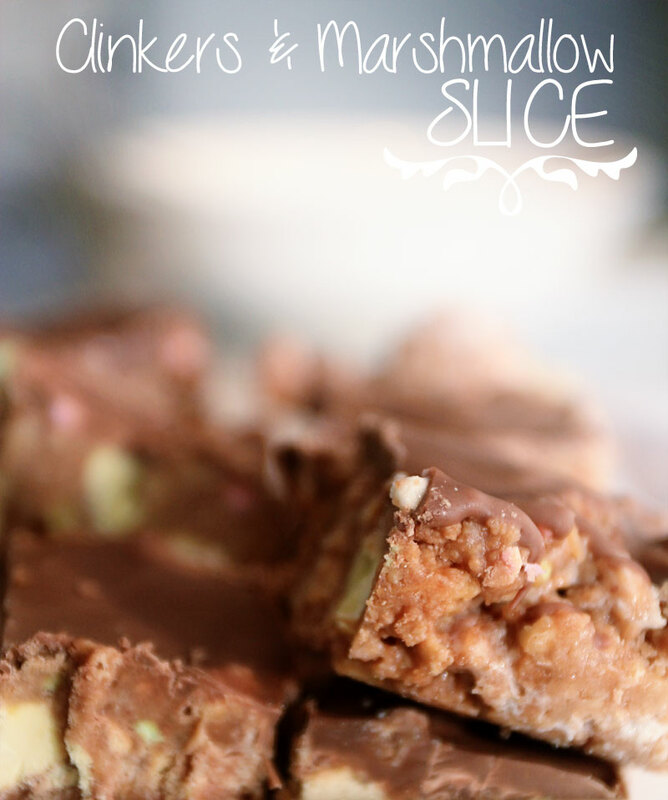 So I was really craving clinkers the other day, when a work colleague mentioned something about baking with them. How have I not thought of this? 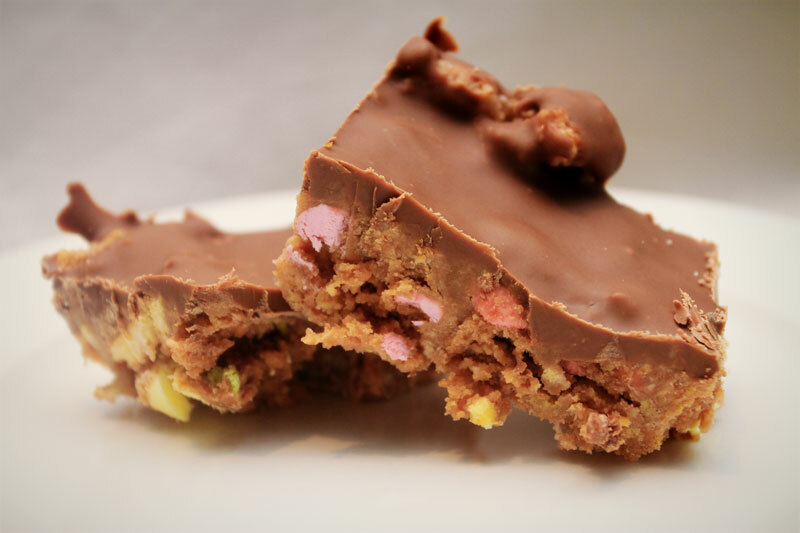 It was then, that the Clinker and Marshmallow slice was born. YES. PLEASE. 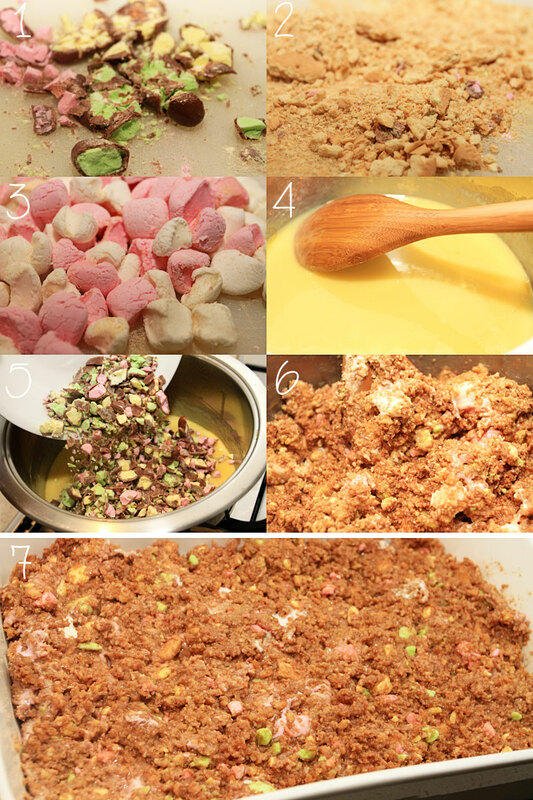 Steps 1-3: Crush the clinkers and the marie biscuits. If you’re like me and don’t have a food processor, just use a rolling pin to crush them. It’s an extremely messy way of doing the job, but rather therapeutic if you ask me. Using a knife, quarter the marshmallows. 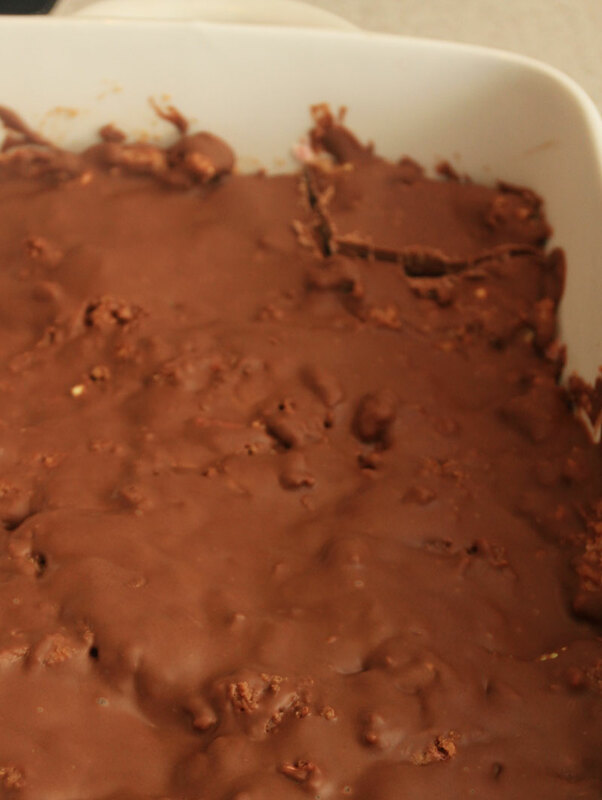 Step 7: Spoon the mixture into a rectangle dish (about 17cm x 27cm) and allow this to set in the fridge for an hour. I’m impatient when it comes to baking, so if you are as excited to eat this as I was, you can put it in the freezer to set for 10 minutes. Once you have a few minutes left for the slice to set, you can start to melt the block of Cadbury chocolate. 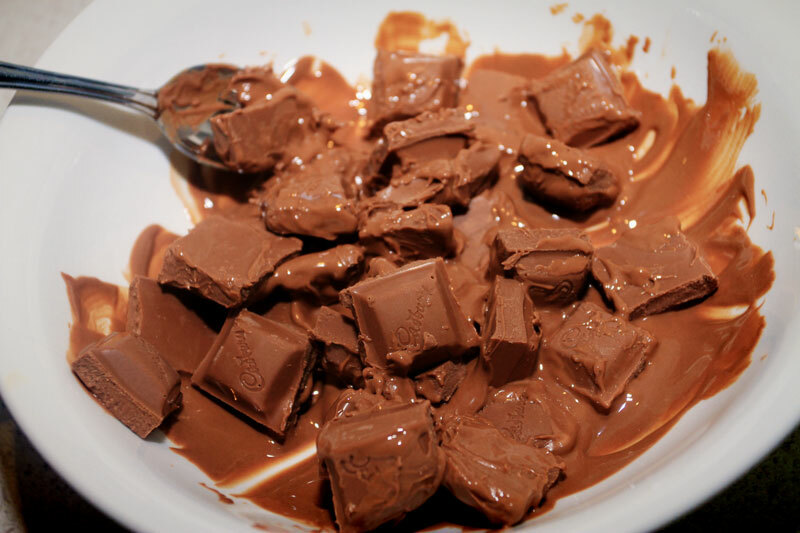 I did this in the microwave for 30 seconds at a time. Stir and then pop it back in for another 30 seconds. 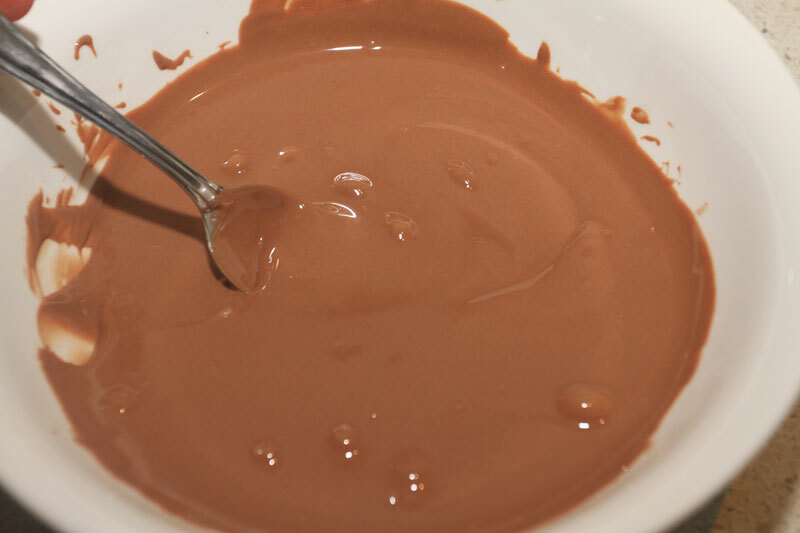 Repeat this until you have a nice smooth chocolate sauce like the below image. Once it’s set, you can slice it up and eat until you feel sick. Seriously guys, this is a sweetness overload.